Cap's 50 lb. 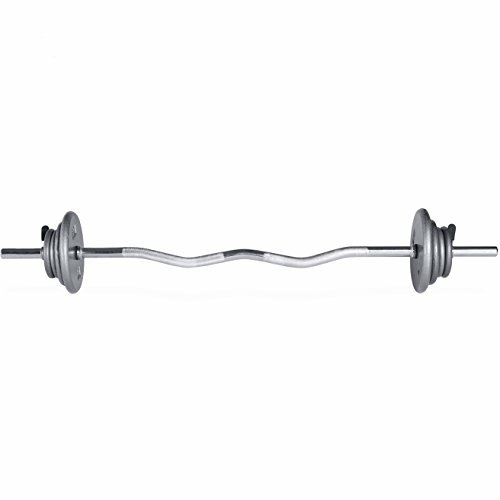 Curl bar set is made of solid cast iron. This set includes a 47-inch standard Curl bar, spring clip collars and the following weight plates: 2 x 10 lb, 2 x 5 lb, and 4 x 2.5 lbs. This is the perfect set for beginner weight training exercises - and you can also add weight plates, for those who want to work their way up to more advanced.